Photo: Sam Walker on Waldo. Lexington, Ky. – Nov. 4, 2018 – Celebrating its 135th year, the National Horse Show has come to be known as one of America’s premier indoor equestrian events thanks to its rich history and classical traditions, with the ASPCA Maclay National Championship, presented by Chansonette Farm, adding even more prestige as one of the four major equitation finals held each fall season. Since 1933, an elite junior rider’s name has been etched into history as the annual champion, and this year the competition tested 175 horses and riders over a series of challenging phases to determine the deserving victor. The culmination of a week at the Kentucky Horse Park, the 2018 National Horse Show concluded with a dream realized for Sam Walker of Ontario, Canada, now the newest champion of the ASPCA Maclay National Championship and winner of the esteemed ASPCA Horsemanship Trophy. Over the course of the day, the initial field of participants took turns tackling Bobby Murphy’s (USA) expertly designed equitation track, which looked deceptively straightforward at first glance. Incorporating most jumps as part of lines, the efficient course offered competitors multiple opportunities to either spotlight their talents or fall victim to the design’s tests, with distances between fences varying and requiring riders to lengthen or collect quickly within the same series of obstacles. Structurally, the fences presented a different type of challenge, with Murphy’s creative collection of jumps including plenty without standards in addition to a handful of skinny jumps, a gate, and an airy triple bar. As the 39th in the order-of-go, Walker and North Run’s Waldo exemplified the pinnacle of equitation, completing a flawless trip to jump into the first standby list. Separated from the rest of the pack as the creme of the crop, 25 partnerships were hand-selected by the judges’ booth, which was occupied by esteemed horsemen Walter T. Kees and Chance Arakelian, to return for the second phase of the contest after top-notch performances over fences. Headed into the under saddle and second over fences portions of riding, Walker, Brian Moggre, Ava Ellis, Emma Kurtz, Catalina Peralta, Paige Matthies, Daisy Farish, and Coco Fath were pegged as the frontrunners, all riding head-to-head in the same flat section. During the under saddle phase, horse-and-rider combinations’ adjustability, balance and connection were put to the test by the judges, who asked for a series of skill demonstrations such as the counter-canter, extended canter, and sitting trot, among others. With one final chance to prove their abilities, the top contenders returned to the Alltech Arena for a second trip over Murphy’s track, this time consisting of almost no fences with standards, a hand gallop, a counter-canter, a trot fence, and an airy fence jumped in both directions. Returning in reverse order of the standings for the second over fences phase, Moggre had the advantage as the last entry to ride, with Walker, Farish, Fath, Kurtz, Matthies, Ellis, and Alexandra Worthington sitting in second through eighth positions, respectively, and all aiming to knock him from the top of the leaderboard. Following the completion of the top 25, the judges needed one last look at the top six, and asked for testing from Walker, Moggre, Fath, Kurtz, Matthies, and Mimi Gochman, who leapfrogged from 12th place into the work-off. Of the remaining contenders, Moggre was the only one to have been victorious in a national equitation final previously, having won the Dover Saddlery/USEF Hunter Seat Medal Final at the Pennsylvania National Horse Show earlier this fall, but it was Walker who had moved to the top of the standings headed into the last display of riding. Sunday afternoon’s test asked riders to canter fence 7, canter fence 2, counter-canter fence 6a, canter fence 6b, canter fence 4, halt, and return to the line. As the last to ride in the work-off, Walker capped off the day’s championship with an exclamation point, navigating a textbook trip aboard Waldo seemingly with ease and displaying high levels of precision, correct form, and aid effectiveness to secure the championship tricolor and the prestigious honor of ASPCA Maclay National Champion. As the 2018 victor, Walker’s name now joins the ranks of past winners that include some of the sport’s icons such as Bill Steinkraus, Frank Chapot, and George Morris, as well as recent superstars Lillie Keenan, Victoria Colvin, and Madison Goetzmann. Sunday’s distinction for Walker is one of the highlights of his competitive equitation career, although he has come close to the top call more than once. This year alone, he has placed within the top 10 in the Dover Saddlery/USEF Hunter Seat Medal Final at the Pennsylvania National Horse Show as well as the Washington International Horse Show (WIHS) Equitation Final. A multi-talented equestrian, Walker also campaigns in the upper level jumpers, having won U25 and High Junior/Amateur-Owner Jumper classes across the United States and Canada under the tutelage of his trainers Missy Clark and John Brennan from North Run. For training the winning rider, Audi of Lexington donated a one-year lease of an Audi to Walker’s trainers. The men represented well this year, with Moggre capturing the reserve honors behind his peer, Walker. Moggre rode Efendi, owned by Donald Stewart, over the course of the contest. Jacob Pope was the last male athlete to claim the top honors in 2012, and prior to that was Brian Walker in 2001. Coincidentally, Sam got paired with Waldo partly with the help of the previous winner that shares his namesake. Jumping from sixth place after the second over fences phase, Paige Matthies piloted Barbara Smith’s Blurred Lines to third overall thanks to her standout work-off test to round out the podium finishers. For more information, please visit www.nhs.org. 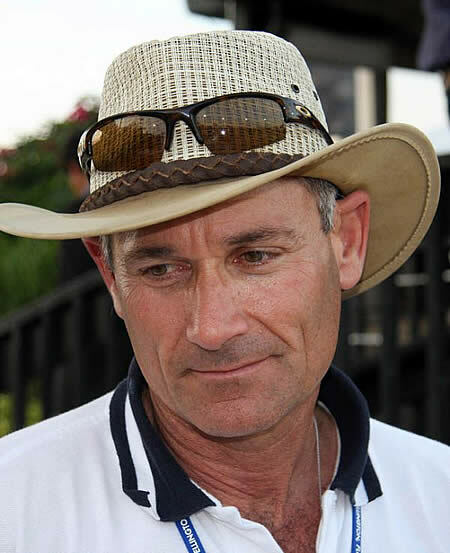 Peter Wylde, pictured here on Sandor de la Pomme, will present the ASPCA Maclay trophy for Dover Saddlery at the National Horse Show on Sunday. Lexington, KY – October 30, 2014 – The National Horse Show, now underway at the Kentucky Horse Park in Lexington, Kentucky, is proud to announce that Dover Saddlery has joined forces as the presenting sponsor of this year’s ASPCA Alfred B. Maclay National Championship which takes place as the concluding class on Sunday, November 2, 2014. Dover Saddlery offers the finest selection of English riding apparel and tack for English riders at all levels and is well known for its vast inventory of equestrian products. Dover prides itself on its tack stores which are designed to evoke a premier horse barn and are beautifully merchandised with saddles, tack, apparel and horse care items. Dover was recently voted favorite tack store by readers of the equestrian publication Equestrian Quarterly. In addition to the presenting sponsorship of the ASPCA Maclay National Championship, Dover is generously donating prizes for the always popular Barn Night, including a wheelbarrow full of barn supplies and two gift certificates. On Sunday history will come full circle as former Maclay winner Peter Wylde (1982) will award the trophy to the winner of the 2014 ASPCA Alfred. B. Maclay Championship. Wylde will be bestowing the honor on behalf of his longtime sponsor Dover Saddlery, first time sponsors of the Maclay at the National Horse Show this year. Wylde won the Rolex-Maclay National Equitation Championship at the National Horse Show in Madison Square Garden in 1982. Like many of his peers who achieve the honor, Wylde chose a career as a professional rider and went on to represent the United States in international competition earning team and individual Silver medals at the Pan American Games in Winnipeg, Canada in 1999 as well as the Male Equestrian of the Year title from the United States Olympic Committee. In 2002, Wylde and Fein Cera won the individual bronze medal at the World Equestrian Games in Jerez, Spain, where Fein Cera was awarded the coveted “Best Horse” honor. The pair was again chosen to represent the United States at the 2004 Olympic Games in Athens, where they helped the U.S. to win the team gold. Wylde’s classic riding style has earned leading rider titles from some of the world’s finest horse shows including the Washington International Horse Show, the CSI-W Geneva, and the CSN Manheim. He has won the Style of Riding Awards at the CHIO Aachen, Germany; the CSI Vienna, Austria; at the American Gold Cup; and three times at the Hampton Classic. The ASPCA Maclay Horsemanship class has been held since 1933, and it is one of the most prestigious competitions for junior riders in the United States. Its winners are some of the biggest names in equestrian sport. Previous winners include: William Steinkraus in 1941, Frank Chapot (1948), George Morris (1952), Leslie Burr Howard (1972), Stacia Klein Madden in 1987, and Nicole Shahinian Simpson in 1992. The 2012 ASPCA Maclay National Championship winner was Jacob Pope, and in 2013 Lillie Keenan was named the winner. Tickets for the 2014 National Horse Show are available at the Kentucky Horse Park. The highlights for this year’s show include, on Thursday night, the Copernicus Stables, LLC $75,000 International Open Jumpers – Time First Jump Off. Friday night’s feature is the Chansonette Farm $45,000 Gambler’s Choice Top Score Costume Class in honor of Halloween night. On Saturday, it’s the main event, the $250,000 CP National Horse Show Grand Prix. On Sunday afternoon the National Horse Show plays host to the Maclay National Championship for the ASPCA Maclay Horsemanship Class Presented by Dover’s Saddlery beginning early in the morning and continuing with the final round at approximately 3:00 PM. All evening sessions begin promptly at 7:00 p.m.
Lexington, KY – May 5, 2014 – The historic National Horse Show, scheduled for the Kentucky Horse Park in Lexington, Kentucky, October 28 through November 2, 2014, announced the line-up of judges for the ASPCA Maclay National Championship today. Olympian McLain Ward will be judging the country’s top junior riders alongside the United States Equestrian Federation President Chrystine Tauber. Ward grew up riding and competing the equitation himself, and has gone on to help the United States Show Jumping Team win two Team Gold medals at the 2004 Athens Olympics and the 2008 Hong Kong Olympics. He is one of the most decorated riders in Show Jumping, with wins in almost every major grand prix, and is well known for his textbook style in the saddle. Tauber is a past equitation champion herself, winning both the AHSA Medal and ASPCA Maclay Finals in 1965. She is a top rated USEF judge, course designer, trainer and rider and has been involved in the governance of the sport for nearly forty years. 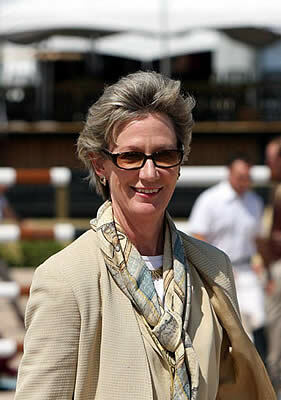 In addition to the presidency of the USEF, she serves as the vice president of the U.S. Hunter Jumper Association. Tauber has judged all the major equitation finals, most recently judging USEF Medal Finals. She has also judged the IHSA Finals and the NCAA Finals twice. 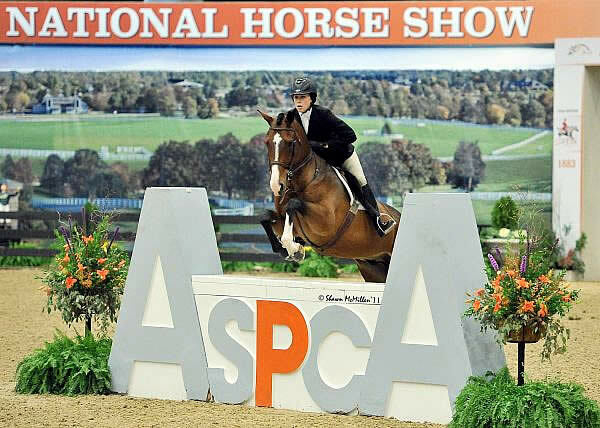 Eight regional competitions will determine which top junior riders will travel to Kentucky to compete during the 2014 ASPCA Alfred B. Maclay Finals, which will be held Sunday, November 2, 2014. For more information, please visit the National Horse Show website at www.nhs.org. Lexington, Ky. – August 25, 2012 – The second edition of the Alltech National Horse Show in Lexington, KY, is set for October 30 through November 4, 2012. The show will once again be held at the Alltech Arena at the Kentucky Horse Park. In addition to world-class show jumping and the country’s best and most competitive hunter divisions, the show will also feature one of the nation’s longest running and most coveted national championships, the ASPCA (The American Society for the Prevention of Cruelty to Animals) Maclay National Championship. Over the years the ASPCA Maclay Finals have been termed the “proving ground of champions” and the ultimate test for America’s young riders. And in the case of this classic test of horsemanship skills, that’s certainly more fact than hype. 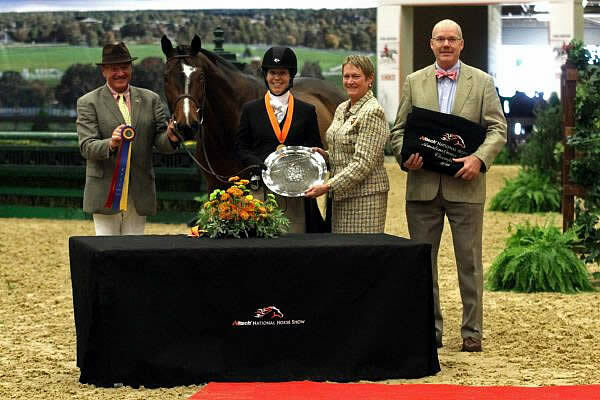 Lexington, KY – August 20, 2012 – The 2012 Alltech National Horse Show, recognized as the National Show Hunter Hall of Fame Horse Show of the Year last year, returns to the Alltech Arena at the Kentucky Horse Park in Lexington, Kentucky, on October 31 through November 4, 2012. The Hunter Hall of Fame honors were the second major award issued to the Alltech National Horse Show last year. At their annual meeting, the North American Riders Group (NARG) recognized the Alltech National Horse Show as the highest rated horse show in the United States. This year’s show will once again feature the nation’s finest hunters in competition with the most significant amount of prize money of any show in the country. This is all made possible by the generous supporters who have stepped forward to sponsor the various hunter divisions at the Alltech National Horse Show. Lexington, KY – July 17, 2012 – The Alltech National Horse Show announced today that the prize list for this year’s show is now available online at the show’s website at: www.AlltechNationalHorseShow.com. The 2012 Alltech National Horse Show takes center stage on October 30 through November 4, 2012 at the Kentucky Horse Park in Lexington, Kentucky. In addition to the top rated hunters and the ASPCA Maclay National Championship, the show features world-class international, open, junior and amateur-owner jumpers competing for the biggest prize money on the United States indoor tour. More than 560 horses and 350 riders from nine countries attended in 2011 and the show’s debut this past season will go down in the record books as one of the most successful in the history of equestrian events in the United States. Lexington, Kentucky – January 2, 2012 – The Alltech National Horse Show, 129th edition, scheduled for the Alltech Arena in Lexington, Kentucky on October 31 through November 4, 2012, today announced the line-up of judges for the Hunter divisions and the ASPCA Maclay National Championship for this year’s event. The debut of the Alltech National Horse Show last November closed with great excitement, receiving unanimous and rave reviews from the equestrian community. More than 560 horses and 350 riders from nine countries, including nine Olympic veterans competed in 2011 and this year’s event should prove to be even more successful. Invited to judge the highly competitive hunter divisions for the 2012 edition are Phillip J. DeVita, Jr. from Apopka, Florida and Jimmy Torano, from Ft. Lauderdale, Florida. Both DeVita and Torano are two of the most popular and highly rated hunter judges in the United States, having officiated at most of the top ranked shows in the nation. Lexington, KY – November 8, 2011 – Open Jumper action at the Alltech National Horse Show, 128th Edition, wrapped up on Saturday night with a fast-paced jump-off during the Alltech National Horse Show $250,000 Grand Prix CSI-W. Richard Spooner and Cristallo set the pace with tidy inside turns and a clear effort, beating Great Britain’s Nick Skelton aboard Carlo 273 by just three-tenths of a second. Jessica Springsteen and Cincinatti Le Silla rounded out the three as the fastest four-fault combination during the short course. Spooner and Cristallo, owned by Show Jumping Syndicates of Agua Dulce, CA, were the first to master the technical course and qualify for the speed phase. The “Master of Faster” did not disappoint when he returned to the ring with his veteran mount. He made a very nice inside turn to the first wide oxer, and followed it with another very tight turn to the wall before galloping home over the double combination and final oxer. Although it almost seemed that the turn to the wall would be too much, Cristallo leapt over it without a rub and the pair broke the beam at 37.970 seconds with all the rails intact. The pair set a pace that no other horse and rider combinations would be able to catch, and eventually led the night’s victory gallop. Skelton was the last to challenge the short course with Carlo 273, and the speedy duo produced the only other fault-free round. They also managed to catch all the inside turns, and although they had a fast gallop through the end of the course, a slow start proved costly when they tripped the timers at 38.33 to place second. LEXINGTON, KY — Sunday, November 6 has been officially designated as “ASPCA Day” at the Alltech National Horse Show in Lexington, Ky. and to celebrate, the ASPCA is holding a parade of rescued horses that will be highlighted in the competition arena preceding the finals of the prestigious ASPCA Maclay National Championship competition. The Alltech National Horse Show, 128th Edition, will run November 2-6, 2011, in the Alltech Arena at the Kentucky Horse Park, site of the 2010 Alltech FEI World Equestrian Games. Horses from the Kentucky Horse Park Mustang Troup will begin the parade. These mustangs were once completely wild on the plains of North Dakota and were later rounded up and removed from their native land. Rescuers have since worked to rehabilitate and train them, and they are now much more accustomed to humans and have become trustworthy riding and performance horses. After a hundred plus year run in the heart of New York City at Madison Square Garden, the nation’s oldest indoor horse show has been somewhat nomadic for the past decade, having landed on the Piers in New York for two unsuccessful seasons following the departure from Madison Square Garden, and then stopping in Wellington, Florida, for four years before finally landing in Syracuse, NY, four years ago. Then, after numerous complaints by a large segment of the National Horse Show exhibitor base, Mason Phelps, Jr., along with the progressive thinking members of the Board of Directors of the National Horse Show, spearheaded the drive to finally give this national equestrian treasure a permanent home. 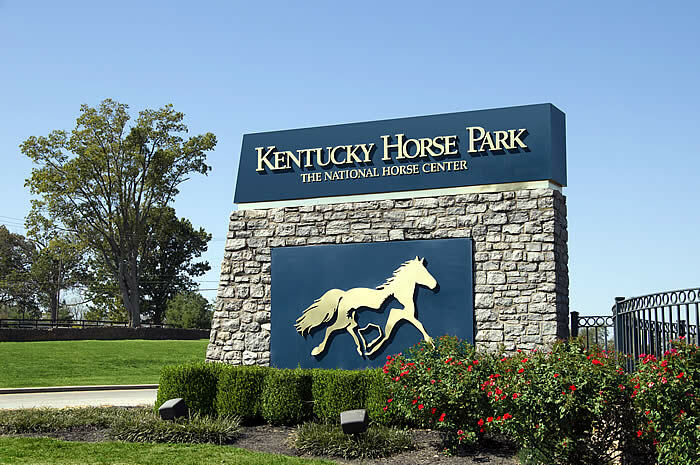 The site they chose was the Kentucky Horse Park in Lexington, Kentucky. “It was the logical and perfect place for the National,” Phelps said. “It’s quite simply one of the outstanding venues in the entire world. Also, the excellent management infrastructure that Hugh Kincannon has had in place for years makes this a seamless transition,” he noted. 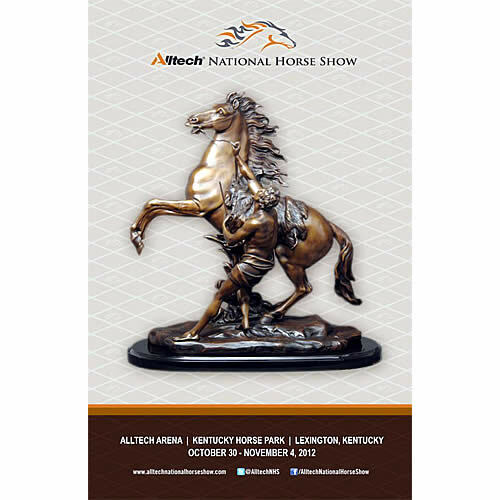 The Alltech National Horse Show, 128th Edition, will be held from November 2-6, 2011, at the beautiful, new Alltech Indoor Arena at the Kentucky Horse Park in Lexington. “I speak on behalf of the entire Kentucky Horse Park in saying that we are honored to be chosen as the venue of the Alltech National Horse Show and it is our sincere wish that it will be a long and happy association,” said John Nicholson, Executive Director of the Kentucky Horse Park.